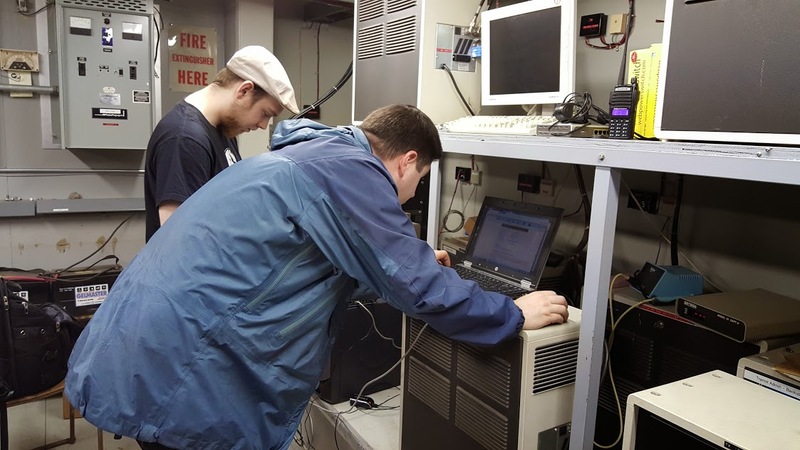 Well, a week or so ago, we rounded up a couple of network gurus and headed back up to the site to ensure we get the networking setup properly. Accompanying myself, was our host Ed VE4EAR, William VE4VR and my son Robert VE4RLK. Sure enough – as soon as they were in and we pointed out where things were, it was evident what the issue was … so the box that I thought was just in dumb adsl model mode was actually in router mode and we were running PPPoE over PPPoE or some such .. so, fun .. was fairly easy to get things back setup properly and it’s been working just fine since. The repeater is getting a good workout with all the IRLP connections and we’re able to monitor the system better now as well. 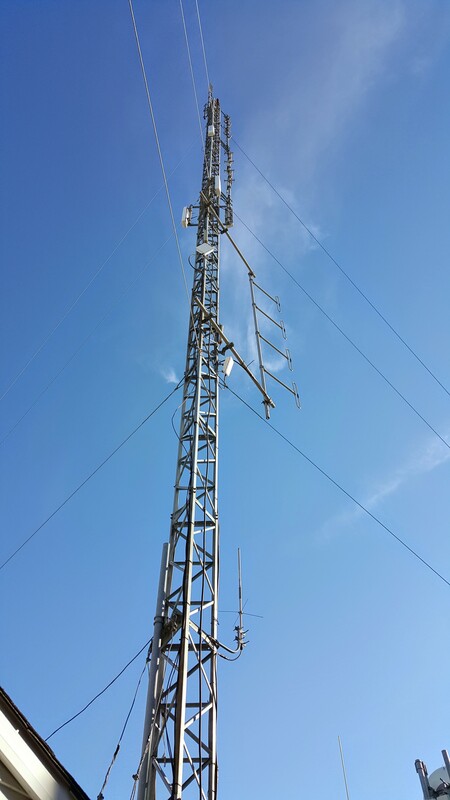 Our receiving antenna is at the very tip top of this tower – barely visible !